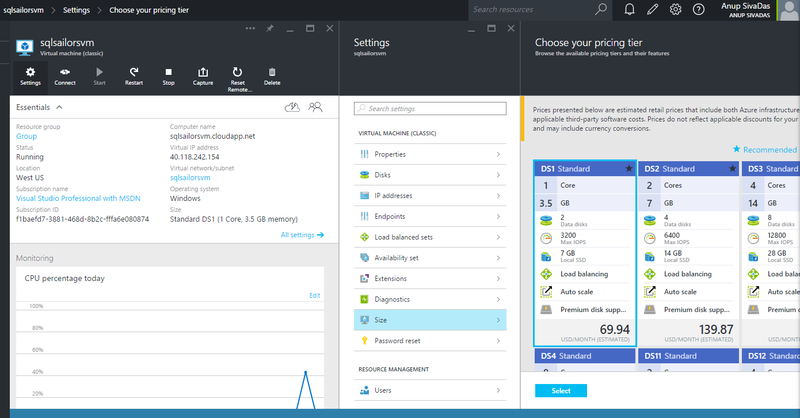 When creating an Azure VM to host your SQL Server, you have an option to select the pricing tier. 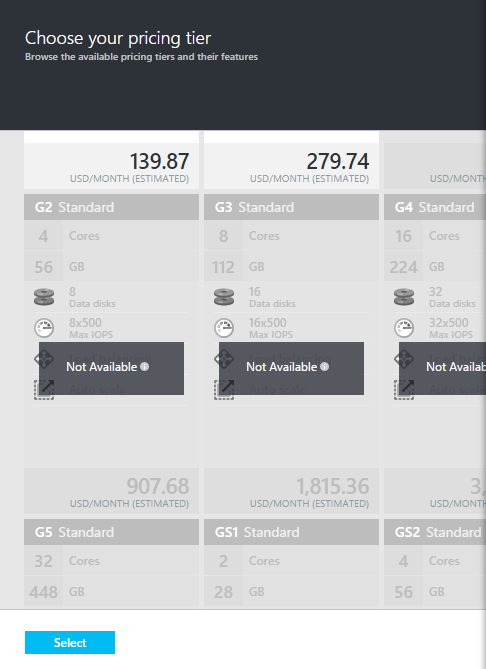 This pricing tier states what will be your VM configuration in terms with CPU cores,memory,No of disks, IOPS etc. 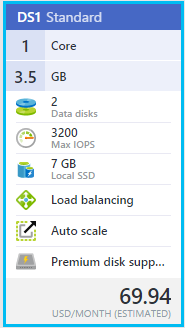 Gone are those days where you had to think twice to move your SQL Server workload to the cloud because of the lack of compute power. 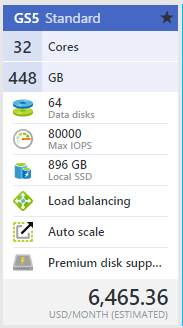 32 cores, 448 GB, 64 disks with 80,000 ! Can’t get better than this ! 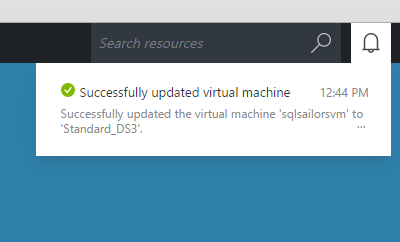 What if I created a VM with a standard pricing tier like DS1 Standard, and after running it for a while realize that it’s not meeting my needs, and my SQL instance starts freaking out. Hmm, bad planning isn’t? 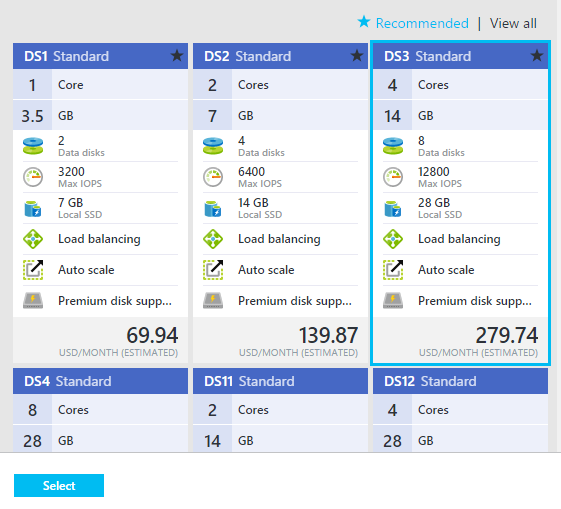 Yeah, it’s definitely bad planning, however Azure will cover you pretty well. 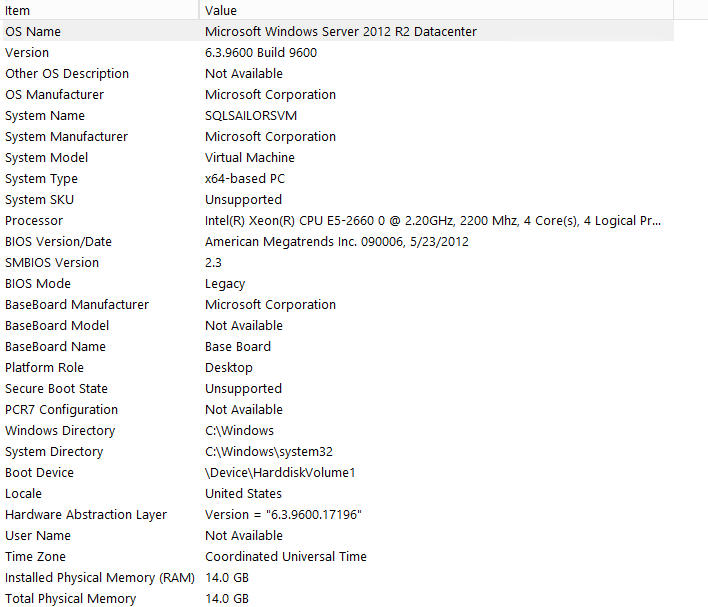 If I check the VM configuration, I can see its current configuration as 1 Core and 3.5 GB of memory. If I scroll down on the selection options, I can see that the G series are not available. This means that you cannot scale up from a D series to a G series directly. Again, not planning ahead can give you trouble. On the portal I’m selecting the DS3 option which is 4 cores and 14 GB memory. 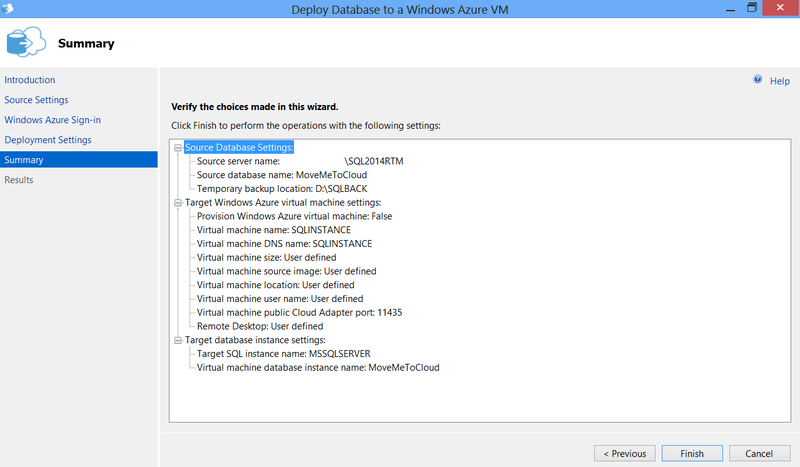 Note – This will restart your VM behind the scenes.If you are following this article and trying to change the pricing tier of a critical production server, then stop and plan to do this activity during a planned downtime. 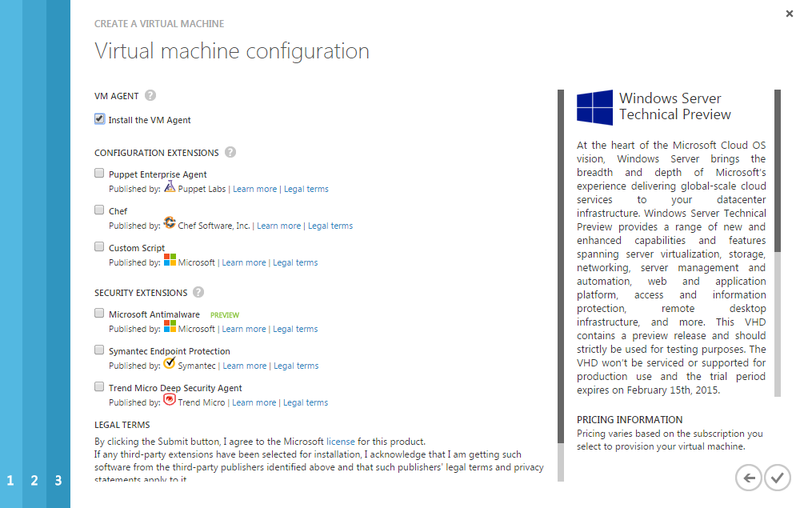 Indeed the new configuration is applied after a quick reboot. Flexibility to change the VM size pretty easy can come handy sometimes,however carefully analyzing the workload compute demands and choosing the correct sized VM is always the recommended approach. 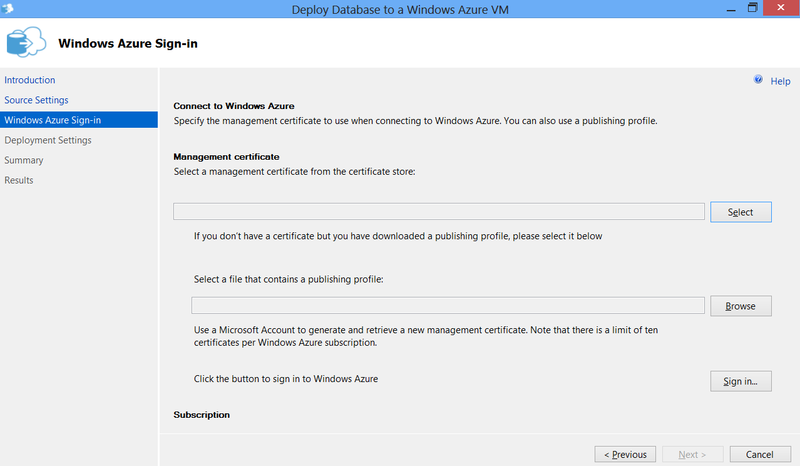 Thanks for reading and keep watching this space for more Azure VM related posts. 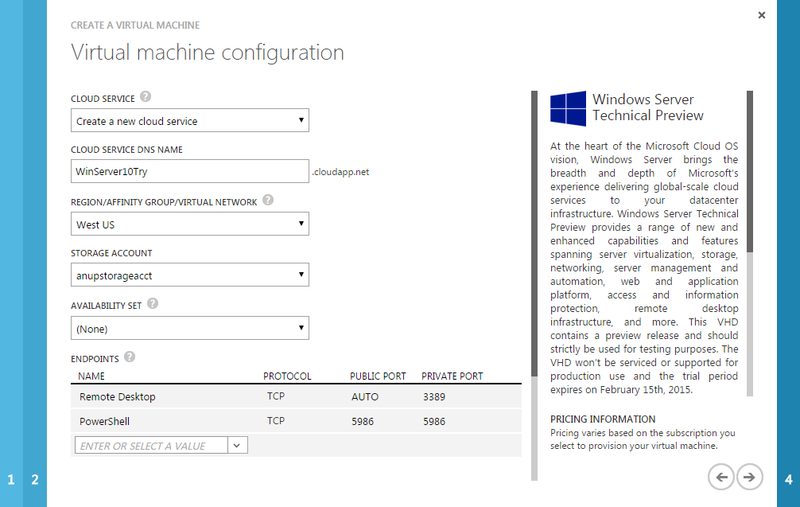 Checking out Windows Server Technical Preview on Azure ! 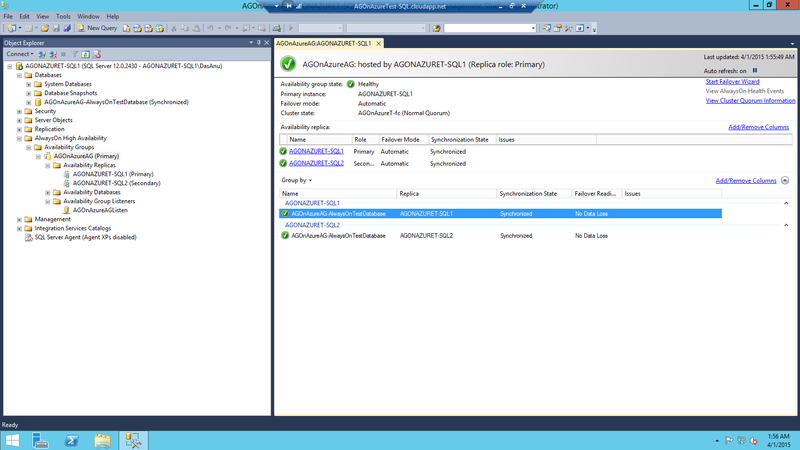 I’m a great fan of running the latest version of Windows Server whenever I deploy SQLServer. 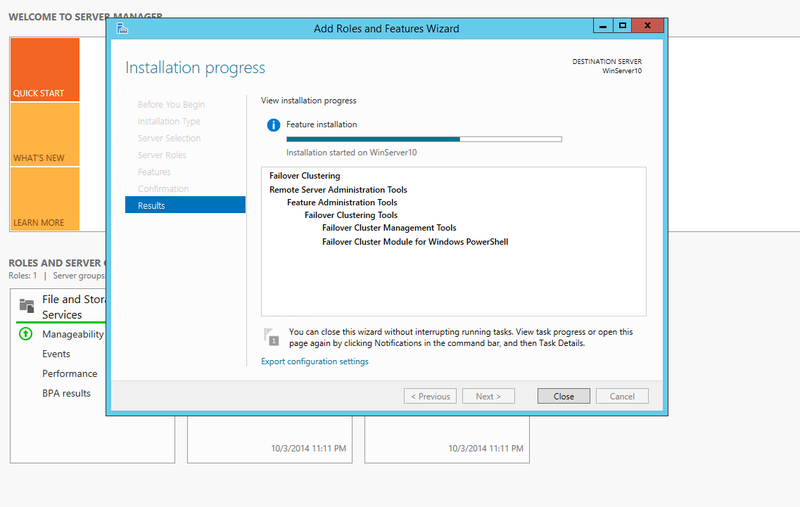 I always try to push the latest and greatest windows server builds along with latest SQLServer builds because of many reasons (That can be a whole different post altogether). 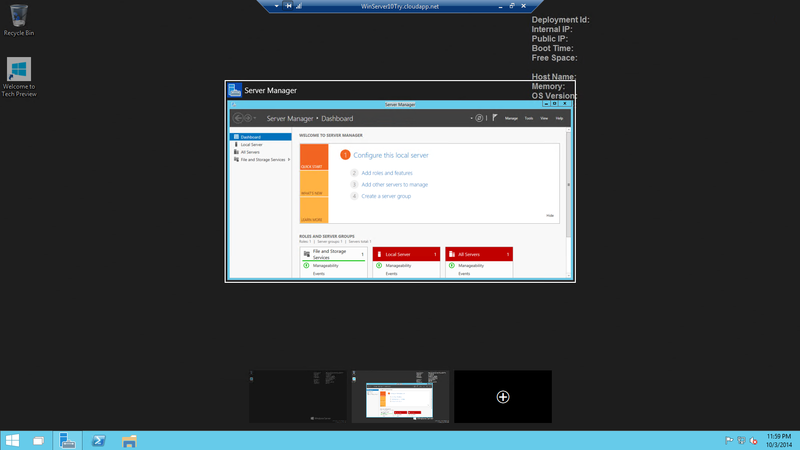 I was all excited when I heard that Microsoft released the Technical preview of Windows Server (They might eventually call it Windows Server 10,but not sure for now), and decided to set this up. Once it was created. I downloaded the RDP file and got connected to it. 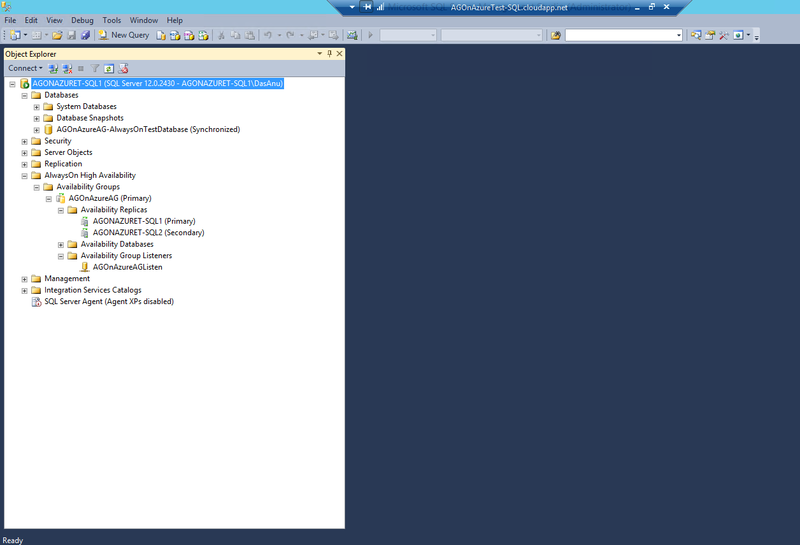 When connecting to the server you need to make sure to use the ID and Password which was used while creating the VM. 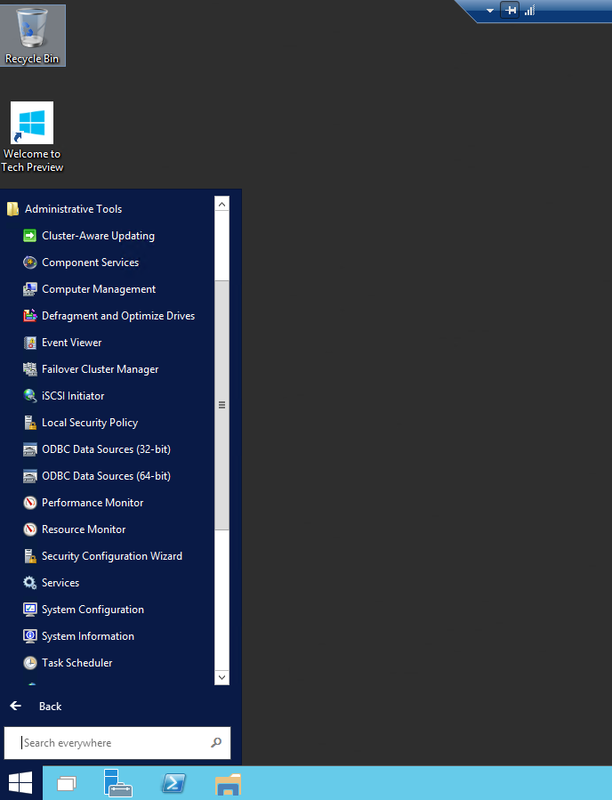 As soon as I logged in I realized that there are no major UI changes, but what Microsoft did here is re-touch everything and made sure that a proper Start Menu is back. 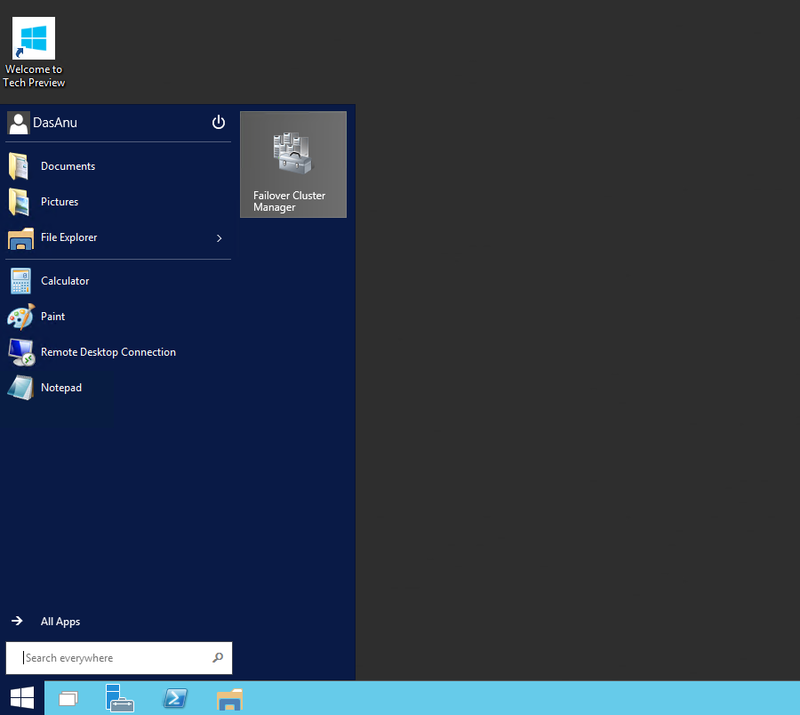 You have an option to choose Start Menu or Start Screen(I’m not a fan of Start screen ! ) and that flexibility is nice. 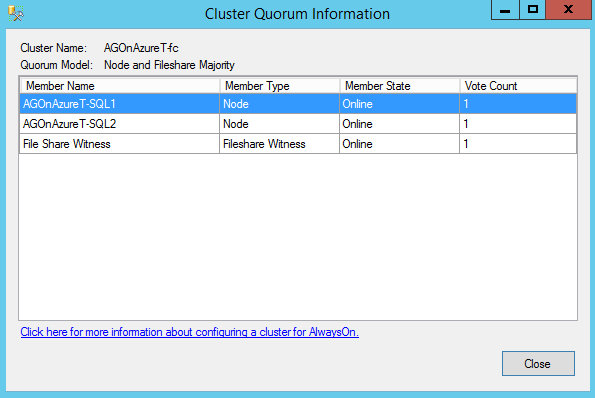 Windows Server Failover Clustering is one of the most important feature which I deal with Windows Server as its one of the pre-requisites for AlwaysOn Availability groups, so I decided to just add that feature(Not going to configure clustering now). Nothing new here. Its all old story with same UI. Once it was installed, I went to Start menu to launch it. This is kind of neat and I like this way rather than using charm bar and searching for it. 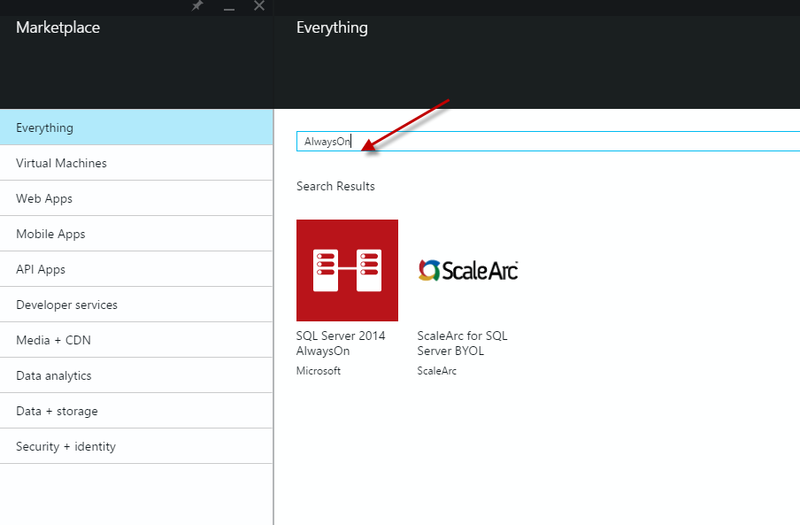 You can also search failover cluster manager using the search option available in the start menu. There are the small things which I care about and like. Nice ! And well if you like Tiles, then you definitively have an option to pin it. I like to pin things like Cluster Manager etc. 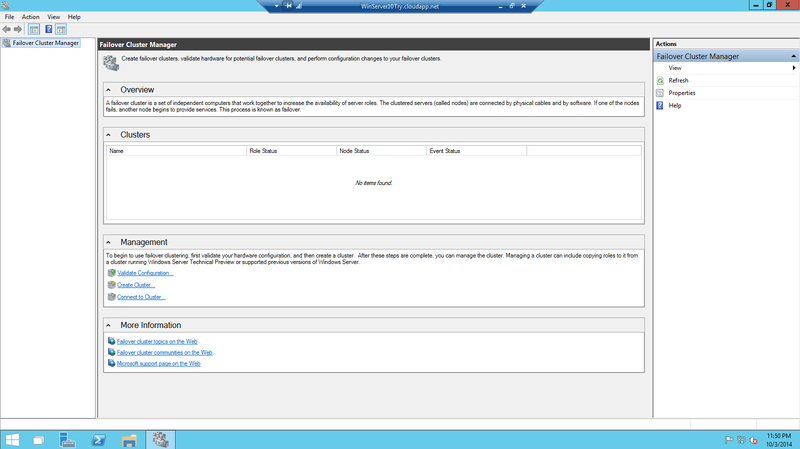 You also have an option to add multiple desktops. 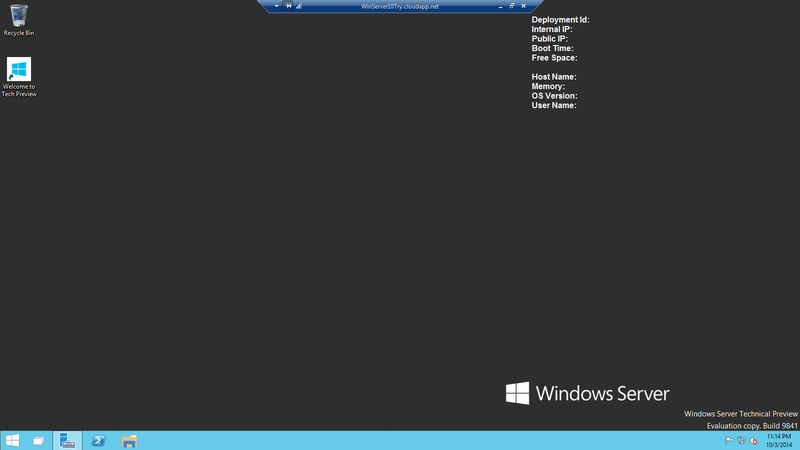 That’s kind of neat as I tend to open multiple windows and I can switch between desktop. That’s it for the UI changes for now. Nothing dramatically new and fancy,but I liked the way things look now. In the next few days I will configure clustering and will come with more updates. 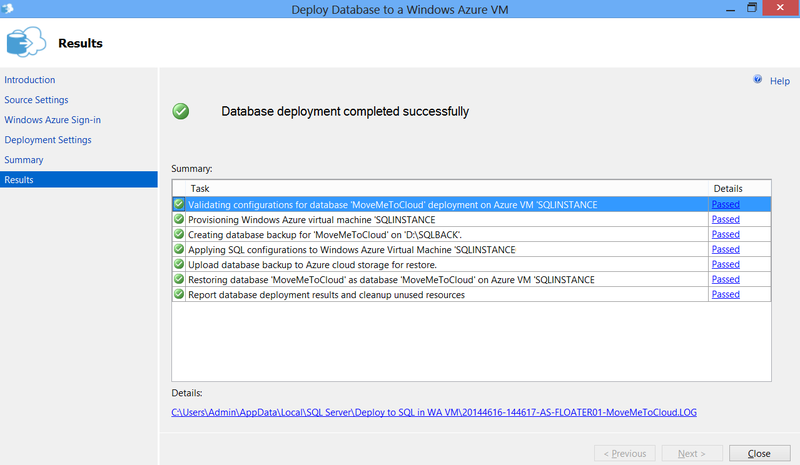 Journey of an On-Premises DB to Azure VM – SQL Server 2014 makes it easier! 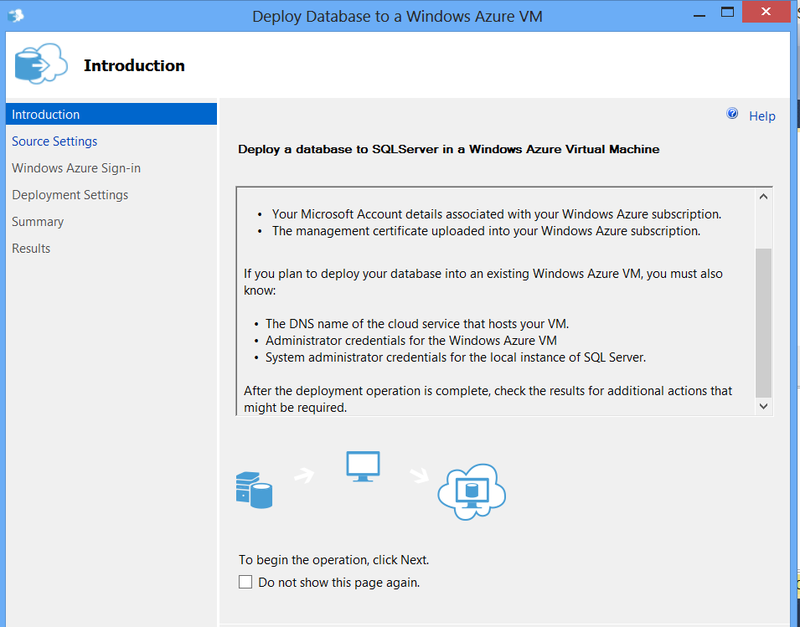 SQL Server 2014 is deeply integrated with Windows Microsoft Azure and moving an On-prem database to a Microsoft Azure VM is much easier and seamless now. 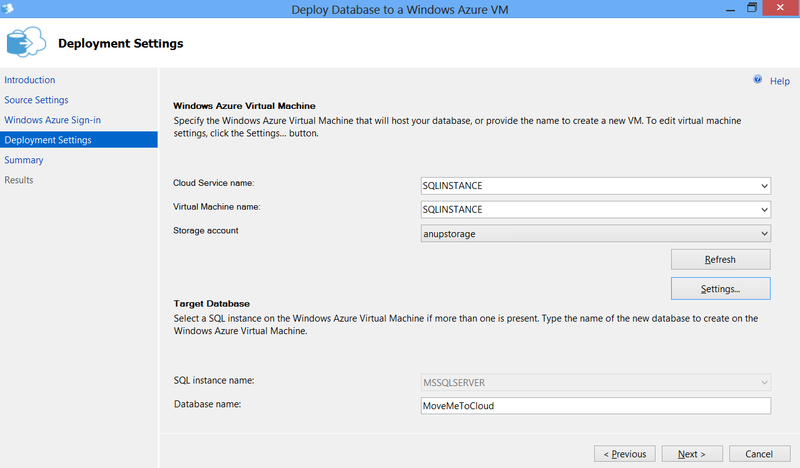 This post talks about the journey of a database named “MoveMeToCloud” which is hosted on SQLServer 2014 RTM on-prem instance to a SQL Instance which is hosted on an Azure VM. 2. As soon as we complete the first step, we will get the intro screen. Pretty straight forward information made available here. 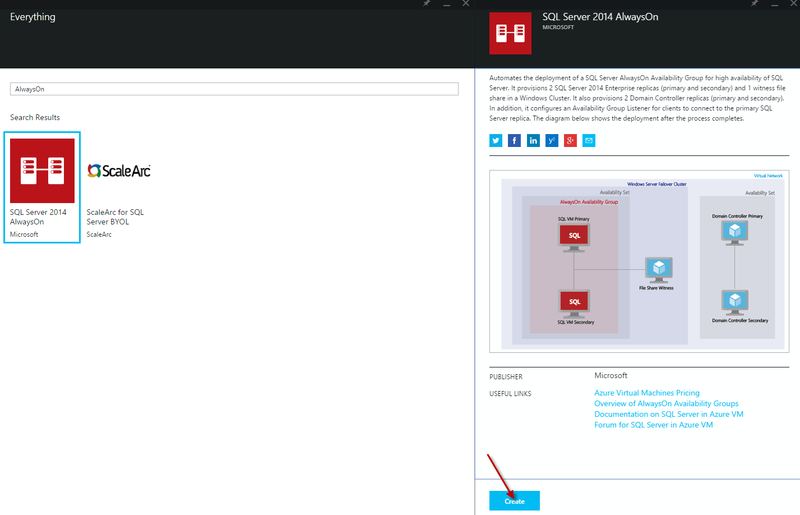 Once we go pass the intro screen we will get the option to connect to the local SQL Instance. 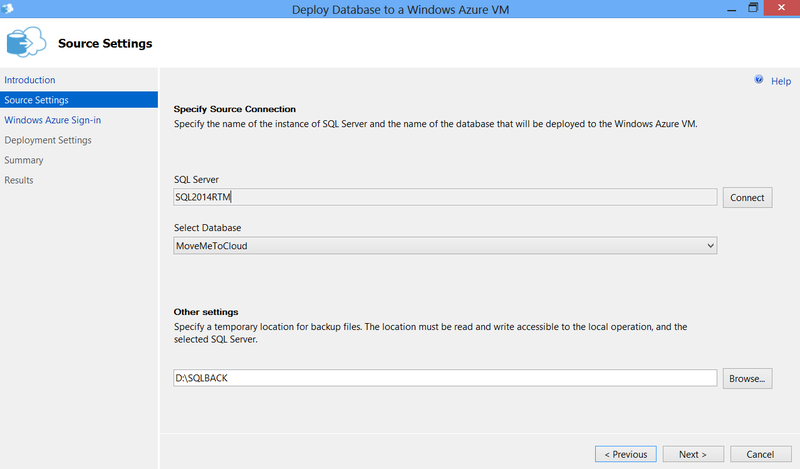 We can then choose the db which we want to move, and also a location for the backup files. 3. Next up will be security related settings. We will need a management certificate to proceed here. By using the Sign in option we can get the required certificate. This is a smart wizard and it will pull the certificate details for you. We will proceed by clicking next. 4. 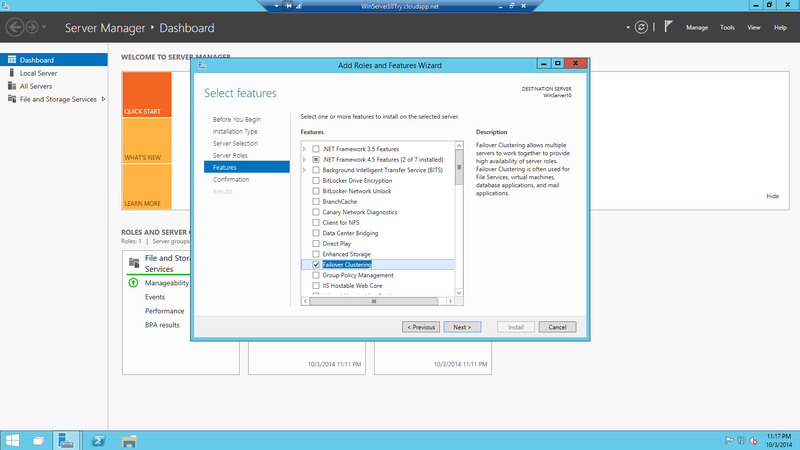 Next up is the deployment settings part. This part is little tricky as we will have to do some authentication. 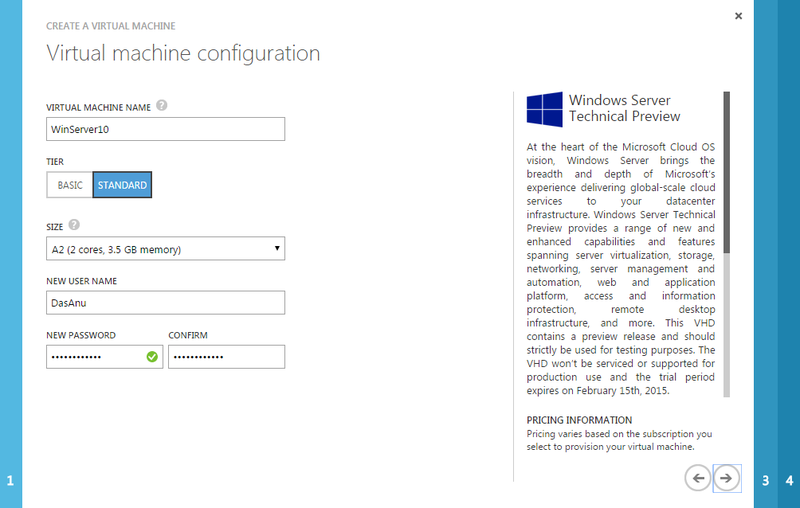 As you can see in the above screen the Cloud service name, Virtual Machine name and the Storage acct is already available as we have done a sign-in in the earlier step. We will need to access the settings button to do an authentication again. 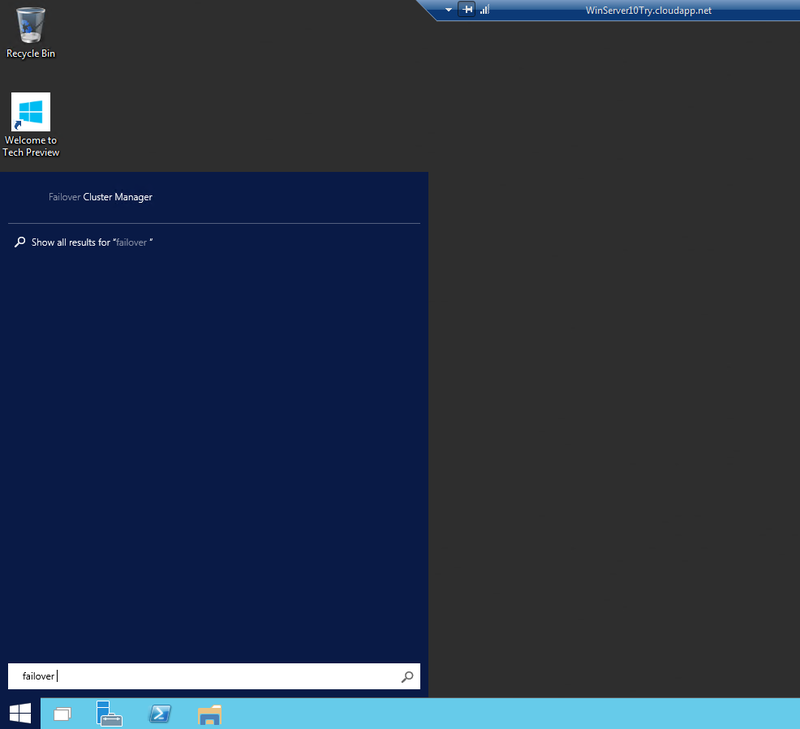 There should be a VM end point for the specific port for this to work. Once the authentication is done, we will get the target database details which will be automatically populated. 5. Final step is to check the summary and initiate this by saying finish. The wizard will do rest of the job for you. 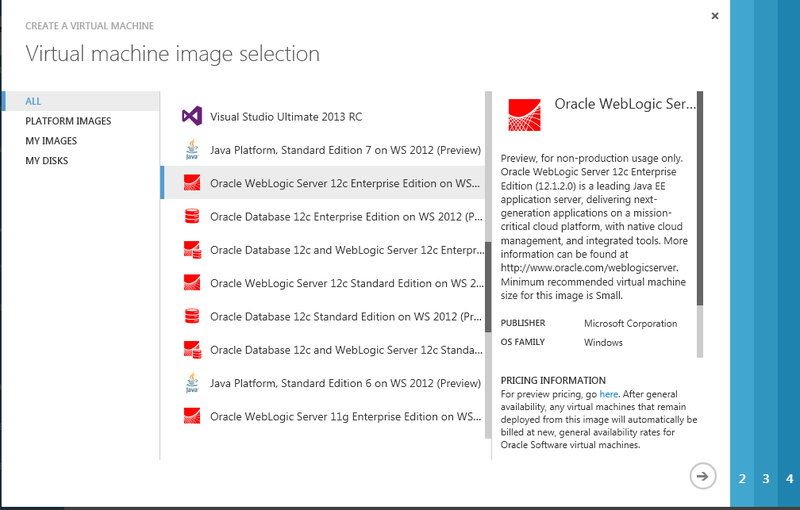 If we check the SQL Instance on Azure we can see the database is available there, Viola ! This is a very smart wizard and I’m really happy that Microsoft have made great efforts to make this simple to ensure that cloud movements are seamless. 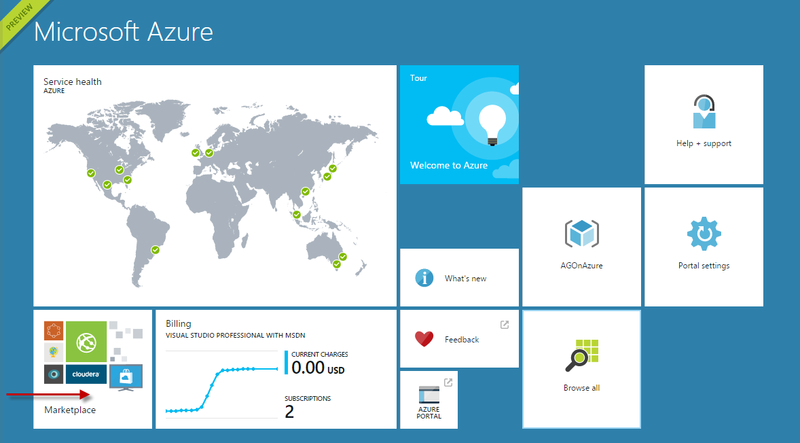 The cost associated with Outbound Data Transfer is very important when you consider bridging your On-premise network with Windows Azure. Yes, when I said cost I indeed meant the $ amount which is involved. 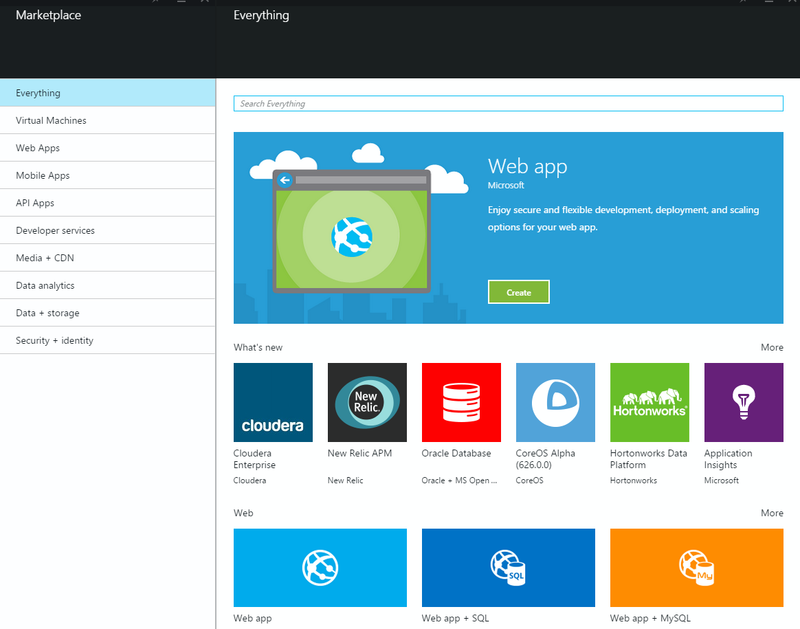 The good news however is that all the Inbound Data sent to Azure is free. The outbound data is all what really matters. 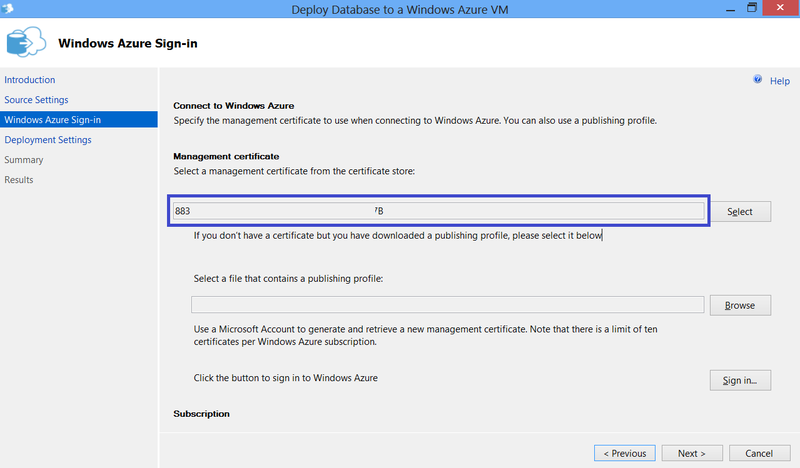 Outbound data is charged based on the total amount of data moving out of the Windows Azure datacenters via the Internet in a given billing cycle. 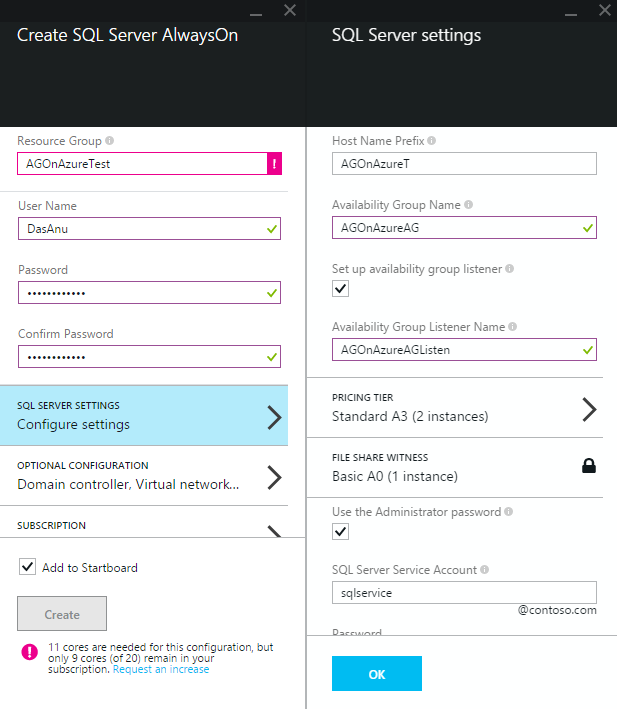 Data transfers between Windows Azure services located within the same datacenter are not subject to any charge. The first 5 GB of outbound data transfers per billing month are also free. Lets talk about this simple scenario – You have deployed SQLServer on a Windows Azure Virtual Machine. 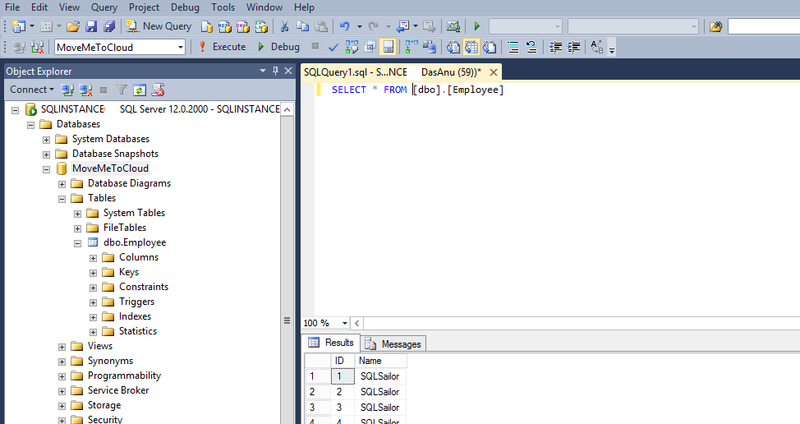 Data out of the SQLServer database will be accessed by clients which are located in your On-premise data center. Below diagram will explain the scenario. 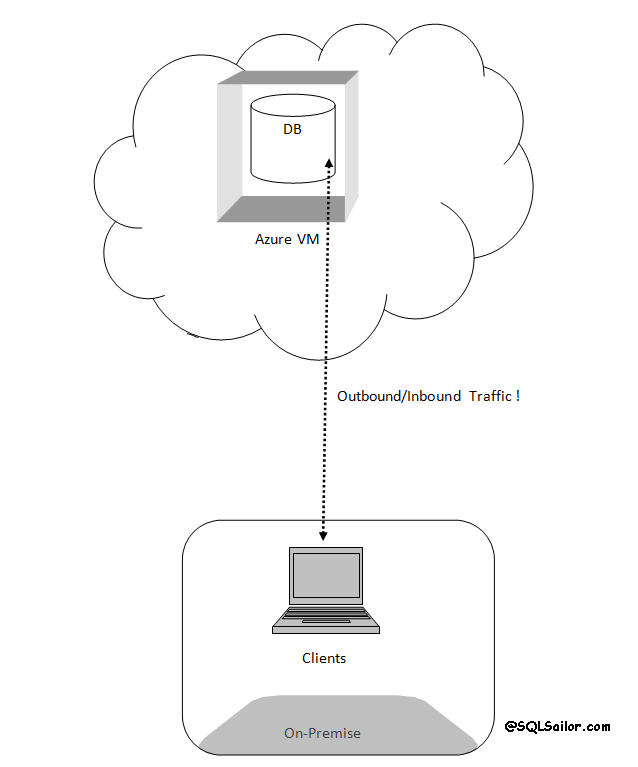 Note – This is a high level diagram and doesn’t explain the actual network intricacies which are involved while bridging your network with Azure. 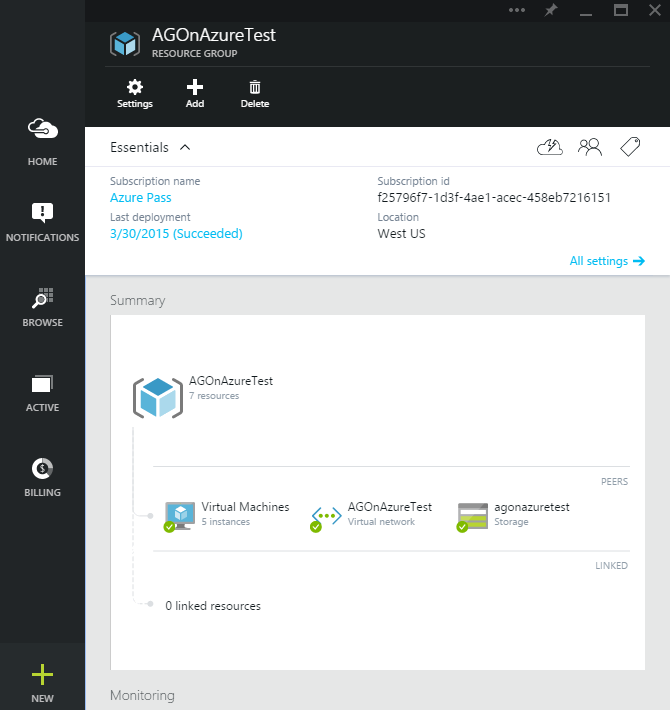 All the outbound data which is flowing out of the Azure data center is a cost ($) factor for you and inbound data sent is free. How much should I pay? Well,that really depends on your usage. 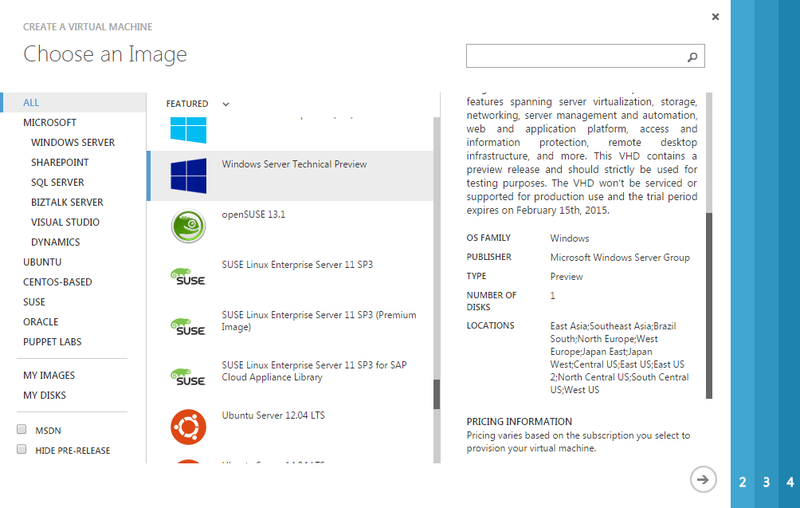 Note – Always ref http://www.windowsazure.com for any pricing estimates as these numbers($) tend to change. 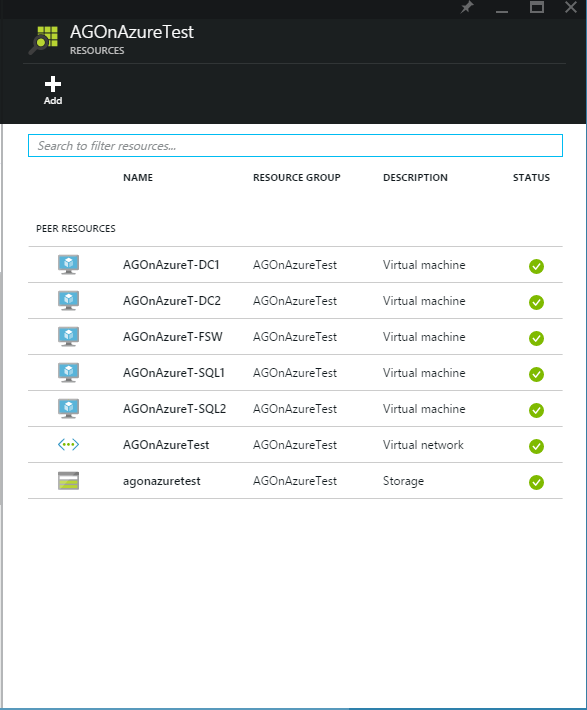 Analyzing and understanding various cost factors which are involved with Windows Azure is one of the key areas an Architect should focus on and comparing this costs with ongoing on premise operational costs will help management get a clear picture. 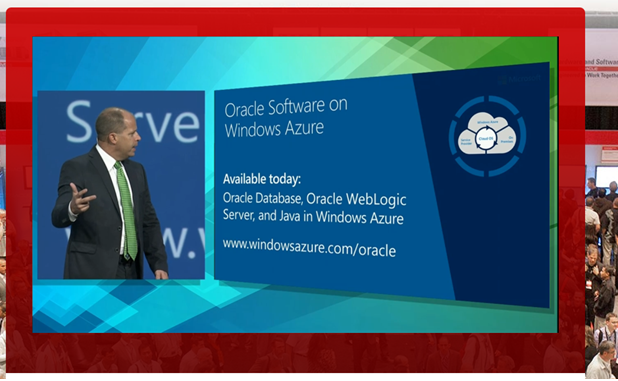 Microsoft + Oracle = New opportunity…Windows Azure is a happening place ! 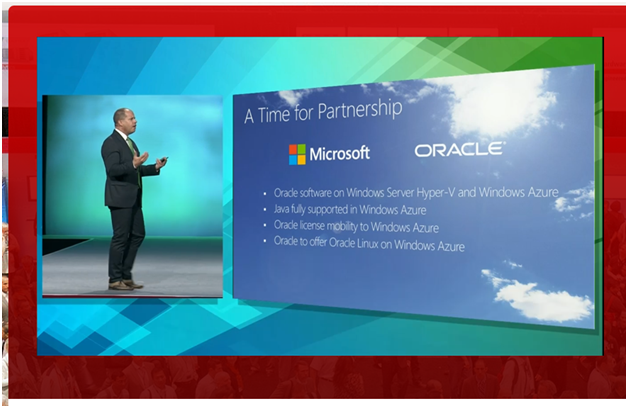 Couple of months back(To be specific in June) Microsoft and Oracle announced their partnership to help enterprise customers embrace the cloud. 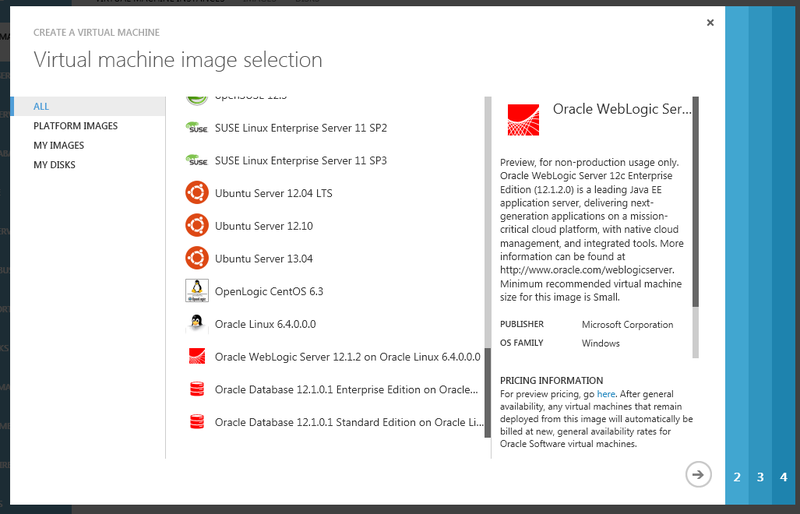 It was almost clear that Oracle was going to be available in Windows Azure under the IaSS platform(Virtual Machines’),and today during one of the Oracle Open World keynotes this was officially announced to be available. I guess Brad Anderson(Corporate Vice President, Cloud and Enterprise Engineering, Microsoft) will be the first Non Oracle person to deliver a keynote during an Oracle Conference(Read Cloud is changing the game). Note – Some of them are on preview though. This is really an exciting news. Giants like Microsoft and Oracle teaming up is definitely going to benefit enterprise business, and I’m really positive about that. Are you excited about this ? Please share your thoughts on the comments section.